Founded by Fraser Doherty when he was just 14 years old, SuperJam grew into a company that has sold many millions of jars around the world. The SuperJam brand has won countless awards and even been entered into the National Museum of Scotland as an Iconic Scottish Brand. Fraser has also co-founded Beer52, a fast-growing craft beer club. 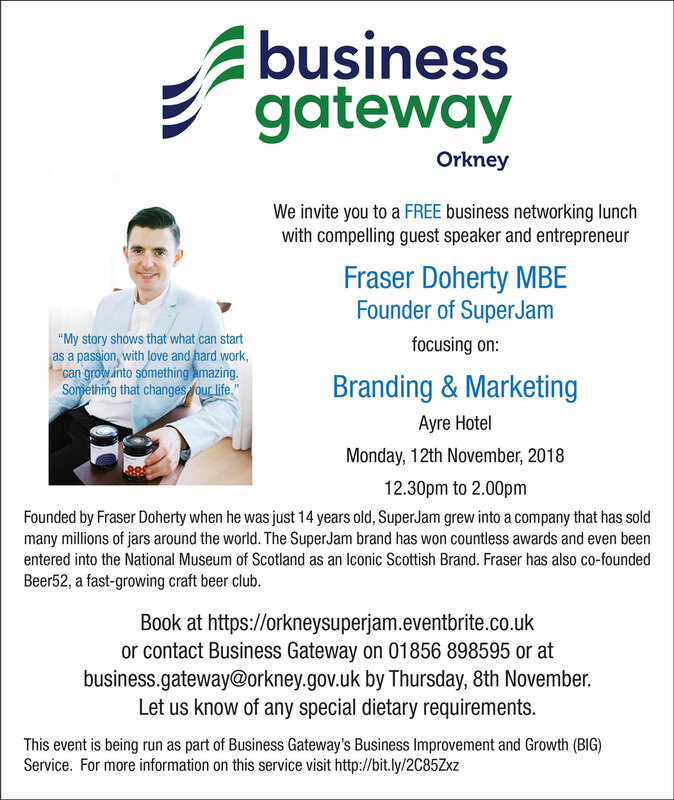 Book at https://orkneysuperjam.eventbrite.co.uk or contact Business Gateway on 01856 898595 or at business.gateway@orkney.gov.uk by Thursday, 8th November. Let us know of any special dietary requirements.